FGFR3 mutations and their relation to FGFR3 expression and clinical outcome in a large radical cystectomy cohort: Implications for anti-FGFR3 bladder cancer treatment? The results suggest that FGFR3 mutations (driver effect) have a distinct functional role than FGFR3 over-expression (passenger effect). Hence, patients with FGFR3 mutations may be more likely to benefit from anti-FGFR3 therapy than patients with only over-expression of FGFR3. The early efficacy data further support the role of single-agent IO as neoadjuvant therapy in MIBC. Pembro may be beneficial at long-term also in pathologically high-risk pts, thus questioning the value of PD-L1 for pt selection, as well as the role of pathologic response as surrogate of survival outcome post-checkpoint inhibition. 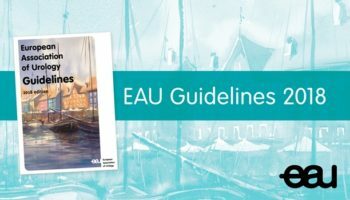 This course compiles the most recent clinical guidelines edited by the EAU in relation to Non-muscle Invasive Bladder Cancer. The Non-muscle Invasive Bladder Cancer course is divided in 3 learning units. Each Learning Unit consists of multiple choice questions that you can answer by navigating to the corresponding chapter of the Non-muscle Invasive Bladder Cancer guideline.